A photo of planet Neptune by Voyager 2 in 1989. NASA and Europe's Hubble space telescope keeps an eye on distant planets, watching for changes in their weather. Hubble has discovered a new and mysterious "dark tempest" on Neptune that's 10,944 km across. The space observatory also got a fresh look at a "giant polar cap" storm on Uranus that is swirling around the planet's North Pole. During a routine sweep of the outer solar system, the Hubble Space Telescope caught a new and mysterious "dark vortex" in the clouds of Neptune, according to NASA. The space agency jointly announced the storm's discovery on Thursday with the Space Telescope Science Institute (STScI), which picks targets for the telescope to study based on submissions by scientists around the world. The new storm shown in the image below is enormous. 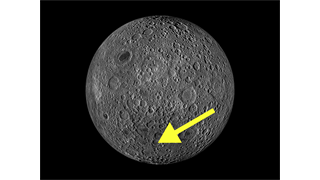 Measuring about 10,944 km across, it could stretch from New York City to the tip of South America and swallow perhaps 20% of Earth's surface area. 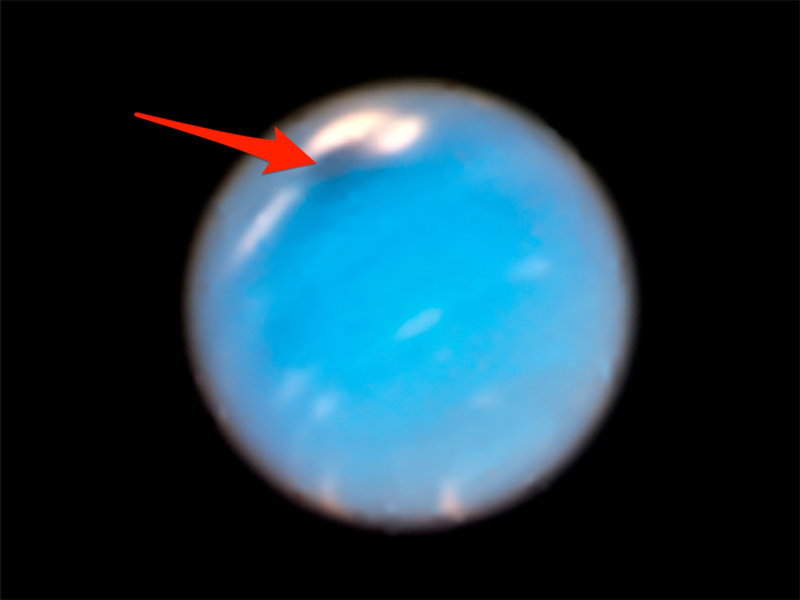 The Hubble Space Telescope photographed a "dark tempest" storm on Neptune in September 2018. The storm appears to be confined to Neptune's northern hemisphere, near a patch of bright-white "companion" clouds, according to a press release from STScI. Such clouds form because the storm plows through surrounding air high above the storm, cooling it off and causing it to freeze. In this cause, that frozen material is almost certainly methane. "These clouds are similar to clouds that appear as pancake-shaped features when air is pushed over mountains on Earth (though Neptune has no solid surface)," the STScI said. 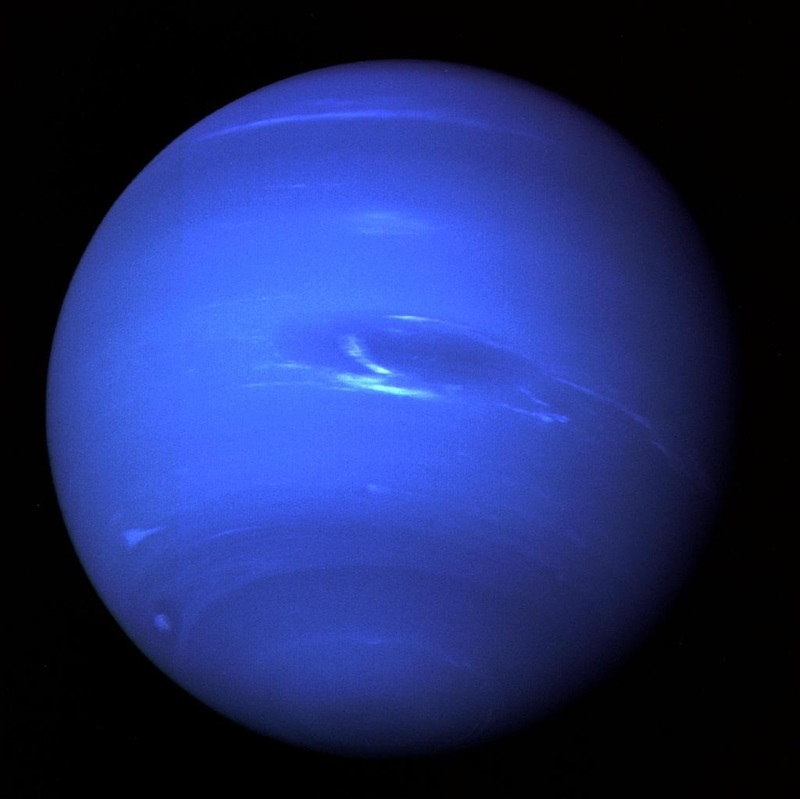 Neptune is known for its dark storms. The first two were spotted when NASA's nuclear-powered Voyager 2 probe sailed past the gassy planet in 1989 - the first and so far only flyby of the world. 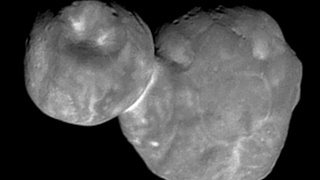 The tempests that Voyager spotted are seen in the image at the top of this post. Most recently, Hubble helped find a dark storm in 2015 and study it through 2017. Results of that research suggest the clouds are made of deadly (and stinky) hydrogen sulfide. 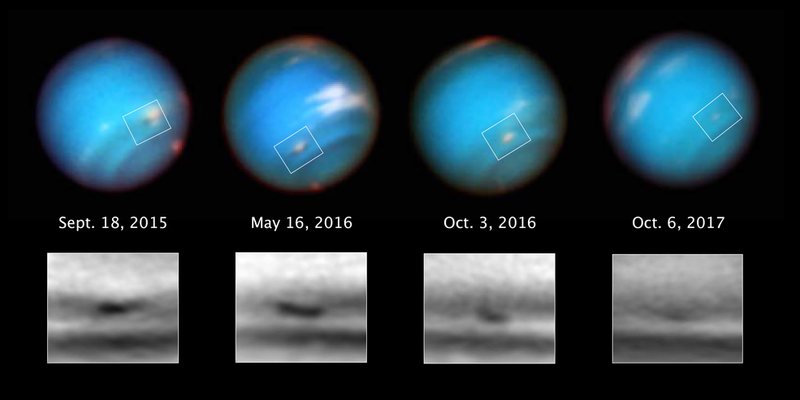 This series of Hubble Space Telescope images taken over 2 years tracks the demise of a giant dark vortex on the planet Neptune. The oval-shaped spot has shrunk from 3,100 miles across its long axis to 2,300 miles across over the Hubble observation period. That storm was expected to drift north toward Neptune's equator and break up. But its actual behaviour floored scientists: It instead moved in the opposite direction, toward the South Pole, then slowly faded away. "We have no evidence of how these vortices are formed or how fast they rotate," Agustín Sánchez-Lavega, a scientist at the University of the Basque Country in Spain who worked on the project, said in a February 2018 release. 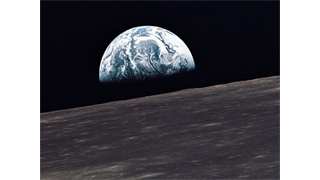 By comparing the images used for that study to the latest NASA images, scientists gleaned new clues that may help solve the mystery. In the older images, "increased cloud activity" came years before the sixth and most recent dark storm appeared and was detected. "The images indicate that the vortices probably develop deeper in Neptune's atmosphere, becoming visible only when the top of the storm reaches higher altitudes," NASA and STScI said in their releases. Planet Uranus with a giant polar cap of seasonal weather. 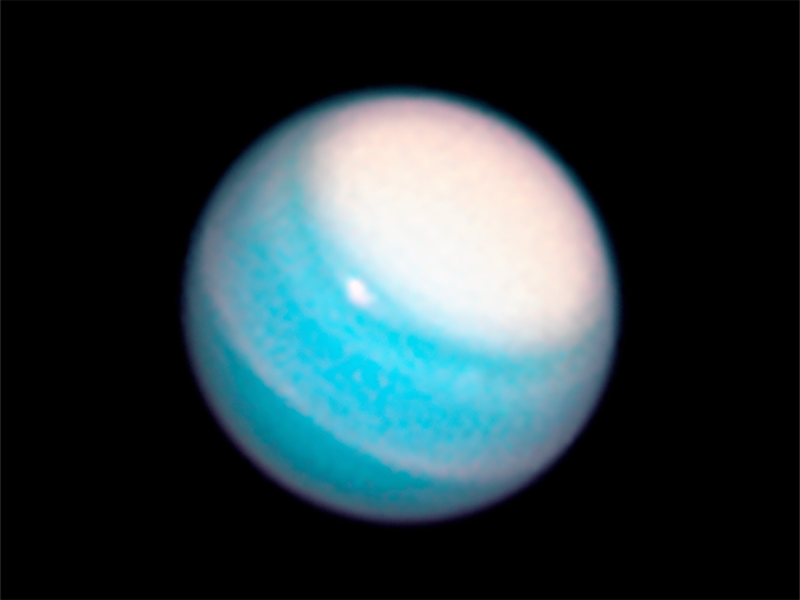 In its latest round of deep-space observations of planets, Hubble also spied a "giant polar cap" or "hood" on Uranus. . Scientists think the feature may be caused by seasonal changes in weather on the planet. "These images are part of a scrapbook of Hubble snapshots of Neptune and Uranus that track the weather patterns over time on these distant, cold planets," NASA said. The agency added: "Just as meteorologists cannot predict the weather on Earth by studying a few snapshots, astronomers cannot track atmospheric trends on solar system planets without regularly repeated observations. Astronomers hope that Hubble's long-term monitoring of the outer planets will help them unravel the mysteries that still persist about these faraway worlds."